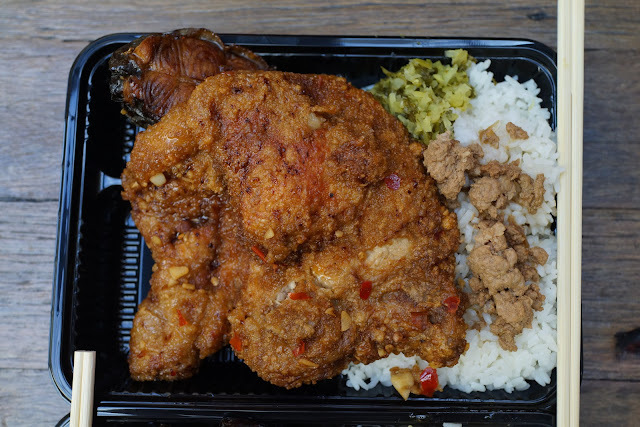 A Sydney food blog celebrating the world's great culinary underbelly. We are ham-fisted enthusiasts who dig traditional foods, hole-in-the-wall restaurants, and international supermarkets of mystery. 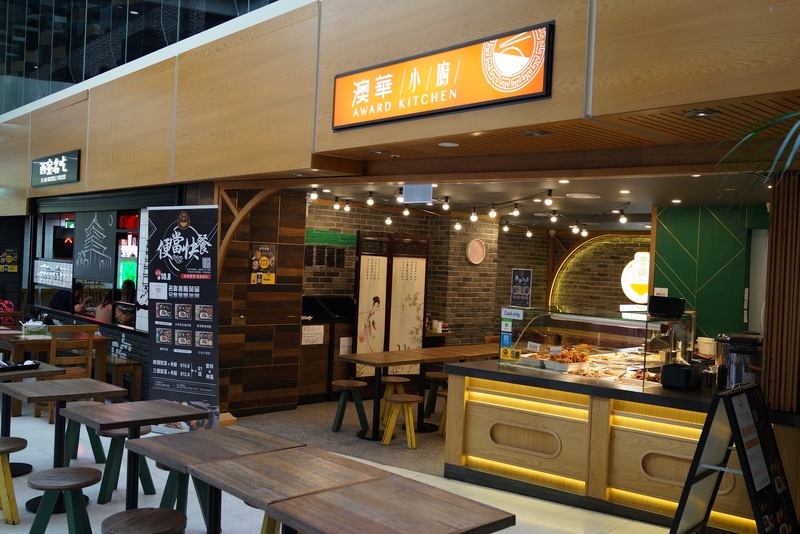 Award Kitchen brings another fine Taiwanese bainmarie-of-love to Sydney, we're always up for more. 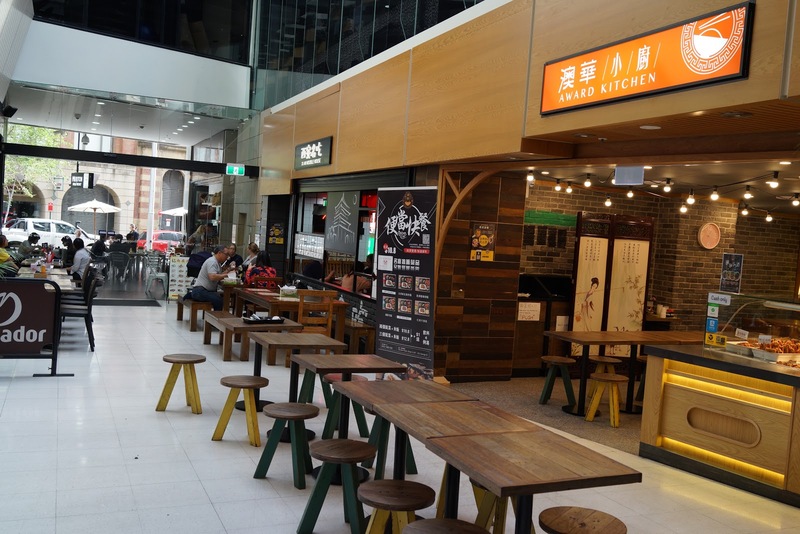 Award Kitchen popped up in the Skyview Plaza, the little arcade that runs between George and Kent streets in the city, where Oiden lives. It's a happy plaza. It's our favourite style of Taiwanese - economy rice - everything is ready-to-go and waiting in a bainmarie-of-love, with some very tempting fried goodies to lure you in at the front. It's just good, simple food cooked well. We love it. Pick two or three dishes with rice for around the $8-$12 mark, depending on the time of day. We took a fried pork chop for the team. It was the second biggest pork chop we had ever seen, a deep fried monster with that Taiwanese trademark hint of plum powder, terrific. Taiwan certainly knows it's way around a deep fryer. Smokin' eggplant and three cup chicken. 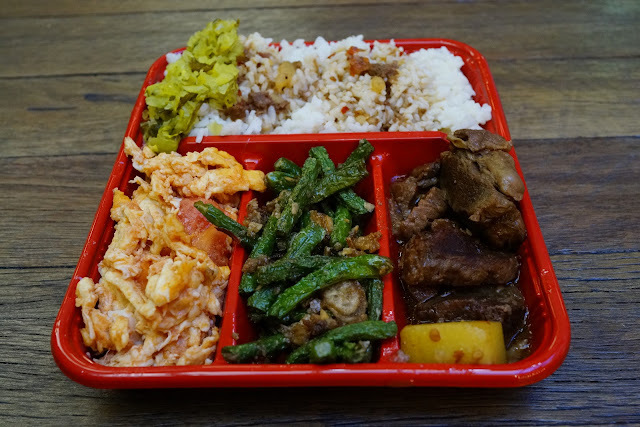 Egg'n'tomato, green beans and beef stew. Oh boy. Award Kitchen is at 528-534 George Street, City. I have passed this place a few times and thought I will try this next time around. I agree with you that we can always have another Taiwanese joints in Sydney since they're quite yummy with good value. In the meantime, have you visited and tried this one: http://hungrypaulie.com.au/ ? If not, I suggest you hurry do so since they have some of the best Taiwanese stuff especially their beef noodle soup and their Paul's Pie peppery pastry. Our ethics: We pay for all our own meals and travel (though sometimes Mum shouts us). 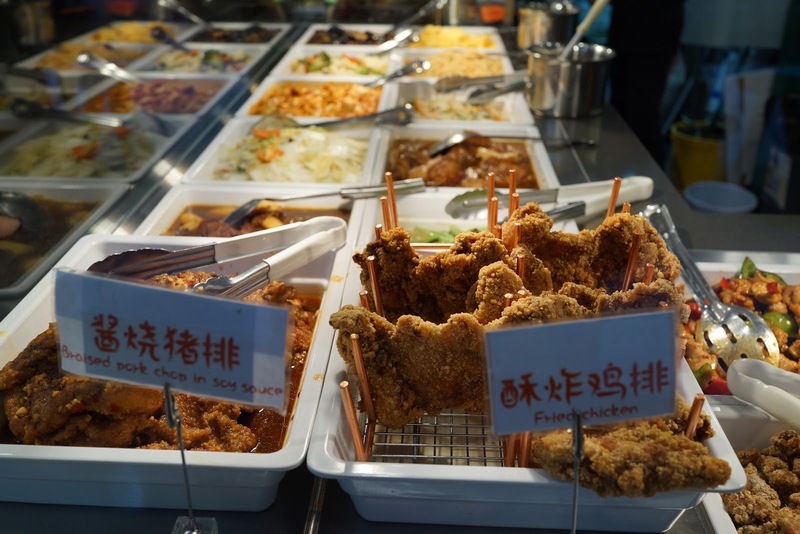 Street Food Tour of Taiwan ~ Let's Kaohsiung! 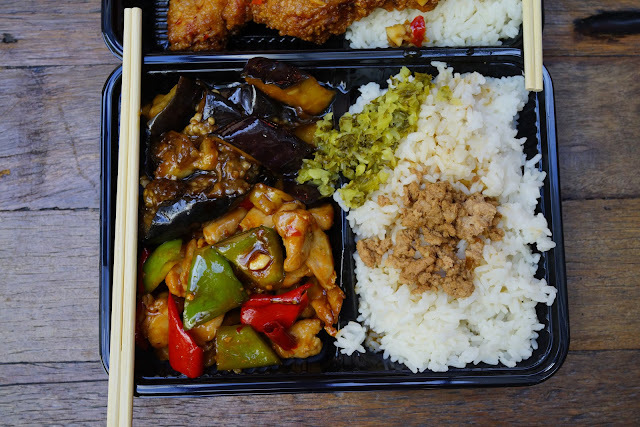 Eating Asia - inspires us and makes us want to give up at the same time. Copyright Army of Nerds Worldwide Group of Industries 2010 - 2015.